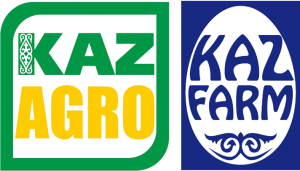 FarmingExpo Krasnodar is an effective tool for promoting products and increasing sales by through making direct contact with a large number of enterprises in crop and livestock farming in Southern Russia and receiving direct feedback on the equipment they exhibit. Among the exhibitors will be Russian and international manufacturers and suppliers of equipment for livestock and poultry farming, feed and veterinary medicines, as well as equipment for storing and processing livestock and poultry products. The exhibition will take place with support of the Ministry of Agriculture of the Russian Federation, the Administration of Krasnodar Krai, the Ministry of Agriculture and Food Processing Industry of Krasnodar Krai, and the Administration of the Krasnodar City Municipal Formation. A huge growth potential, government support and investments are the key words characterizing livestock and poultry industry in Russia. Both sectors are considered the engine of domestic agricultural production and develop dynamically. The region of Krasnodar plays a leading role in the development of the Russian agriculture and is the most important region for the production of animal products. Livestock and poultry farms of the South of Russia continuously increase production volumes and attract investments for new production facilities. The Southern Russia and the North Caucasus regions rank first among Russian producers in milk and egg production an third in production of cattle and poultry meat. The advantages of the Russian market continue to be a high consumer demand, the growth and profit opportunities and the low tax burden.